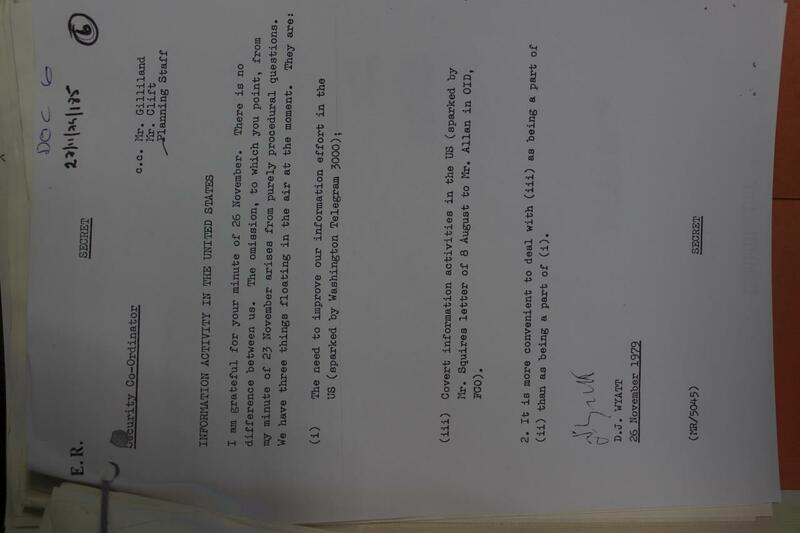 A small nugget from my latest research at the National Archives: Maurice Oldfield, then Security Co-ordinator in Northern Ireland gives his advice on information operations in the US in 1979. It is interesting given that the theme of a monolithic Soviet-backed international terrorist network was beginning to become prominent at the time, with that year's Jonathan Institute conference on terrorism, and the subsequent publication of Claire Sterling's The Terror Network in 1981. Oldfield's minute might be taken as a rather dry acknowledgement of the limitations of such a worldview even while taking advantage of it. 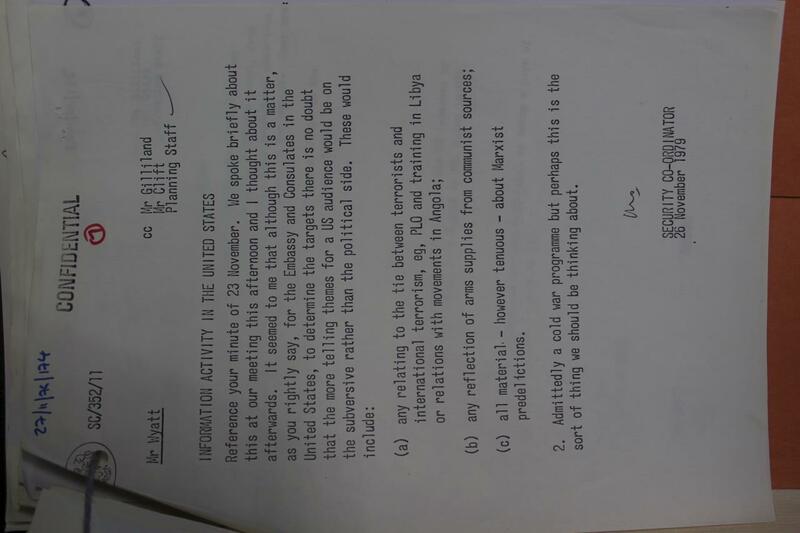 The file also includes an (apparently redacted) minute to Oldfield from David Wyatt of the Northern Ireland Office liaison staff, who refers to 'covert information activities in the US' sparked by correspondence with the Foreign Office Overseas Information Department, successor to the Cold War propaganda unit, the Information Research Department.